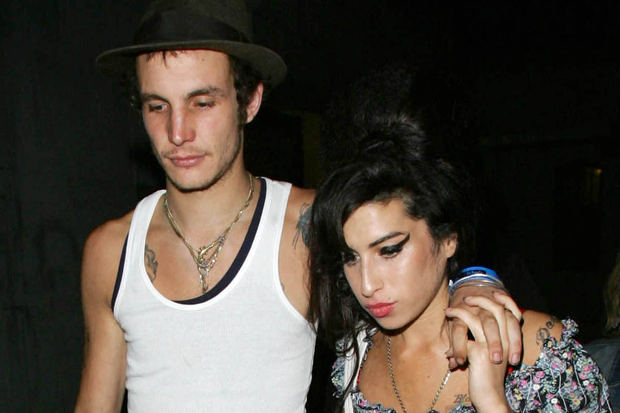 A little over a year after Amy Winehouse died of alcohol intoxication, her ex-husband, Blake Fielder-Civil, is reportedly in a substance-abuse-related coma, according to the Guardian. The onetime video production assistant’s current partner, Sarah Aspin, found him choking in bed and apparently suffering from organ failure on Friday and had him rushed to a hospital. Fielder-Civil has had a long and public history with drug abuse that he shared with Winehouse, his spouse from 2007 to 2009. During that period, he served time in prison for attempting to pervert a court of justice, and since then he returned to jail on charges of burglary and possession of an imitation firearm. Fielder-Civil is receiving none of Winehouse’s multimillion dollar estate. On Thursday of last week, Aspin claims Fielder-Civil met with a probation service before joining a friend for a drink. He came home slurring his speech, so she put him to bed, believing he may have taken drugs as well. When she woke up the next day, he was choking on his tongue. On the anniversary of Winehouse’s death, SPIN dug out rare footage of the singer shot by Fielder-Civil.